Christine Gibson has been a member of the Oklahoma Contemporary team since 2014. As the manager of youth and family programs, she oversees the conception, implementation and management of Camp Contemporary, K-12 field trips and youth-focused community programs. 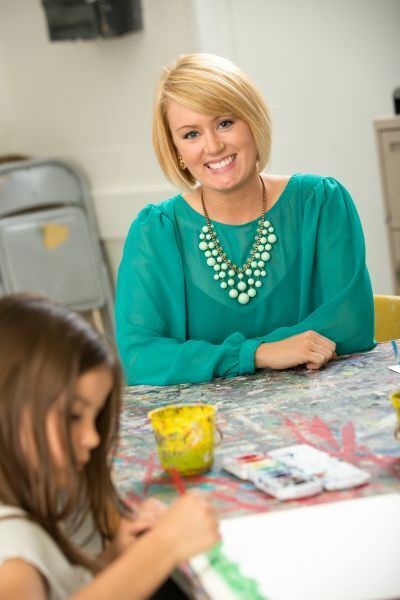 Christine believes that providing children with the opportunity to experience the arts in interesting ways and fostering experimentation, inclusion and creative thinking is vital for a growing community, such as Oklahoma City. Prior to Oklahoma Contemporary, she served as program director at the Edmond Historical Society & Museum where she headed the design and completion of the Children’s Learning Center and development of the 1889 Territorial Schoolhouse programs. Originally from southwestern Ohio, Christine received a Bachelor of Fine Arts in Art History and a minor in Anthropology from Ohio University.